These days we are spoilt for choice when it comes to recipe books but it can still be a challenge to find those with the best and most versatile dishes for camping and glamping. We all want quick, easy, cheap and cheerful, but we also want the ability to produce a “Wow!” from friends and family. Inspired Camping was given a copy of the Family Camping Cookbook to flick through and sample some of the camping food recipes in return for an honest book review and we wondered if it would do the job of helping us produce a tasty yet simple camping menu for all to enjoy at the campsite, that was neither too simple or ambitious. The book contains 85 family friendly feasts that all work on a gas stove, barbecue or open fire and even gives shopping lists and advice on how to make the most of cooking outdoors, so we were off to a good start. Our first observation when we received the book was that it is not a coffee table book as it seems to have been designed to be taken out and about on camping trips. It seems durable and hard-wearing, so we don’t think it will suffer much from being stuffed into a bag with the rest of the camping gear. It’s of a medium size and full with useful information and healthy recipes so, as the title suggests, it’s perfect for families who camp and don’t have the need to travel light. As such it’s definitely not a book for backpacking or wild camping away from the shops. The meal planning sections are fabulous. A super example is on page 63, when the reader is provided with a very bright and easy to read menu for kids, with references to pages where the recipes can be found. It then gives the reader a shopping list to take to the store so you don’t have to be bothered with the chore of writing one out yourself. These lists are incredibly useful and take away the burden of thinking about what to cook and what to stock up for. Anything that saves time when camping giving more opportunity to enjoy activities with the kids gets a BIG thumbs up from us. Actually this book would be useful at home too and not just on camping trips… now there’s a thought! There are recipes for all ages, so even the kids could have a go at making a yummy sticky finger mess! For example on page 66 there’s Chapatis with fruit & honey and on page 169 chocolate fondue. However, mum and dad might want to think carefully about getting involved in this type of activity with the kids if they don’t want to spend the rest of their camping trip with sticky honey all over the tent and sleeping bag! The book cover seems very durable and hard-wearing, perfect for being lugged around with your camping gear, but only if you don’t have to pack light. It ‘does what it says on the tin’ and the meal planning sections and menus are easy to read and fabulous. The shopping lists are also incredibly useful as they quite simply take away the burden of thinking about what to cook and shop for. There are recipes for every meal time for all ages so even the kids could have a go. There’s plenty of other useful tips throughout the book, including packing and pre-preparation tips. The price of the book has also been reduced if bought through our online store. The meals focus on fresh food, so it’s not ideal if camping light with basic provisions is a priority, you are wild camping away from grocery shops or you have no way of storing fresh food safely in a chill cabinet or cool box. However, if you are wild camping it’s unlikely you would want a cookbook at all! Some of the recipes are also a bit complicated for an inexperienced family camper, with some speciality items that won’t be easy to find on the road, but throughout the book there are helpful alternatives to these. This it isn’t a coffee table book, but we recommend it as a practical family friendly one ideal for the Camping Ready Bag if you don’t need to pack light. 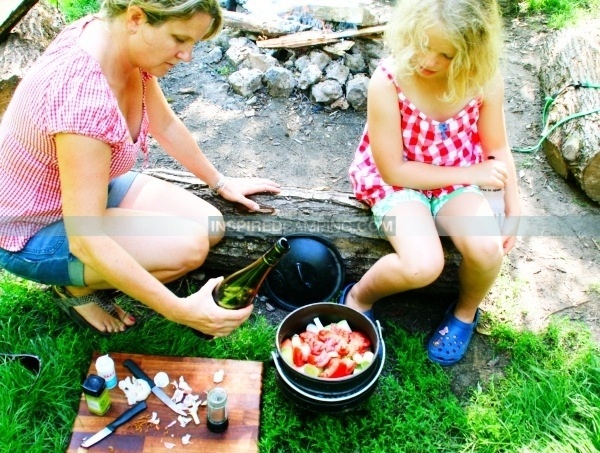 We also recommend some of these great eco food products for glamping and boutique camping. 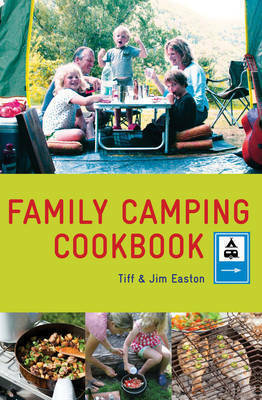 So in summary this is a practical time-saving cook book that clearly shows the time, effort and hard work Tiff and Jim have put into it, which in turn will help save time and effort when camping with the family, and just for the shopping lists alone it deserves 4 stars. Tanya Brooks-Dowsett is a keen happy camper and lover of all things Glamping. Growing up near the North Wales coast and now living with her busy family of water sport enthusiasts, she lives for the beach life. 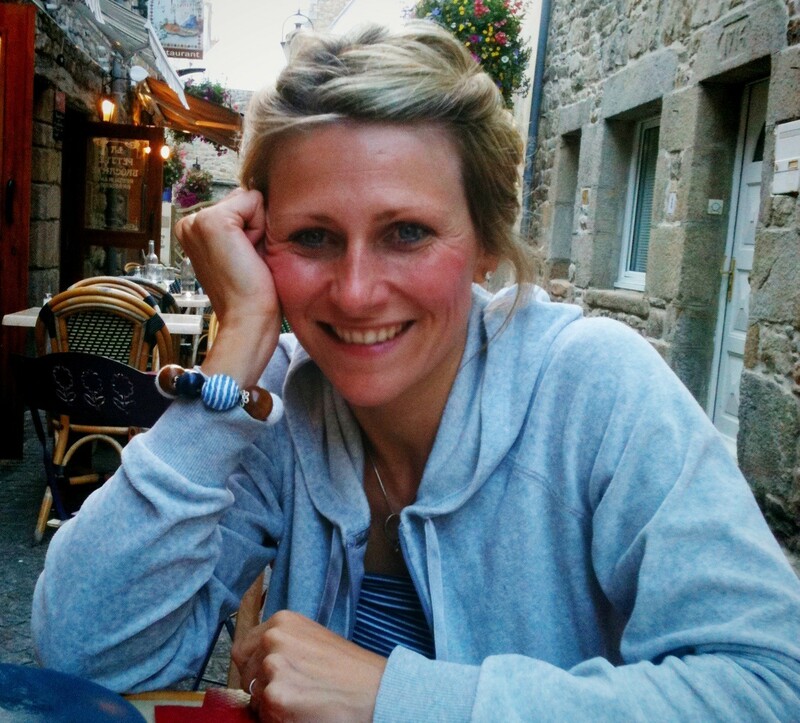 Tanya is an adventurous idea generator who loves to hang out at some of the UK’s most stunning beach locations. 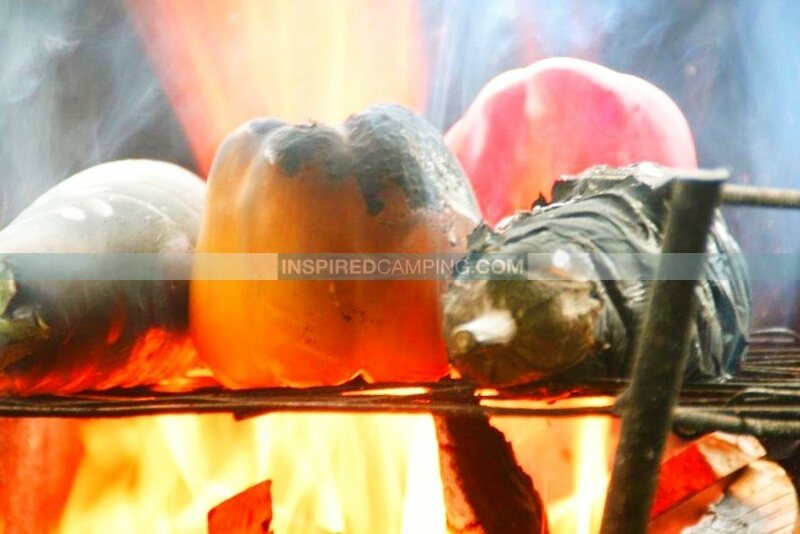 Another great tip is to download some camping food apps before your visit to the campsite. Here’s a good one from Coleman, and we’ve highlighted some more great food apps and recipe ideas here.